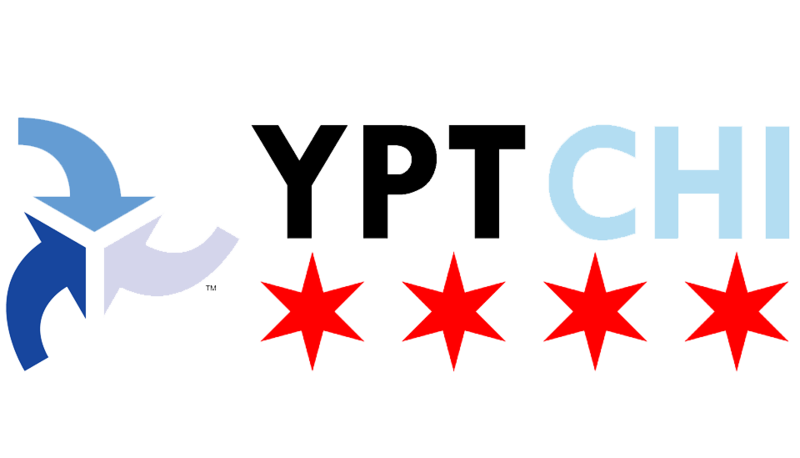 If so, YPT-Chicago invites you to participate in the inaugural Transportation Camp Chicago! On Saturday, May 5, 2018, Chicago will join cities across America in hosting this transportation “unconference.” It’s the first one of its kind for the Windy City and will be one to remember. WHEN: Saturday, May 5, 2018, 8:30 a.m. to 6:00 p.m.
WHERE: University of Illinois at Chicago, Student Center East, 750 S. Halsted Street. UIC Halsted/Taylor Parking Structure, located at 760 West Taylor Street, is the closest paid parking facility available to visitors. Click here for a full map of campus parking facilities. John Greenfield edits the transportation news website Streetsblog Chicago and writes the transportation column for the Chicago Reader weekly paper. John previously worked for the Active Transportation Alliance as a consultant to the Chicago Department of Transportation, cycling to every corner of the city to site more than 3,500 bike parking racks. His writing has also appeared in Bicycling, Momentum, Rails to Trails, Crain’s, Time Out Chicago, and Newcity. John has walked the entire length of more than a dozen Chicago streets and biked the perimeters of Chicago, Illinois, Lake Michigan, and three-quarters of the continental U.S., and he once shared the title of the World’s Fastest ‘L’ Rider. Kate Lowe is an Assistant Professor at the University of Illinois at Chicago in the Department of Urban Planning and Policy. She studies transportation at the intersection of policy, funding, and social equity. Her work examines how varied stakeholders and transportation policies interact across different levels of government and how this impacts transportation investments. Much of her work has focused on how federal funding programs interface with local funding, with an emphasis on equity implications. She also studies the transportation perspectives and experiences of low-income populations and people of color. She has published her research in various peer-reviewed journals, including the Journal of Planning Education and Research, Transport Policy, the Journal of Urban Affairs, and Transportation Research Record. She earned a Ph.D. in City and Regional Planning from Cornell University, a M.A. in Community Development and Planning from Clark University, and a B.A. in Cultural Anthropology from Bard College. UPPSA provides academic, social, professional, and philanthropic events for Master in Urban Planing & Policy students at UIC. We are a student-led, student-focused organization dedicated to helping students make the most of a graduate planning education–building connections, volunteering, and having fun along the way. Streetsblog Chicago is a daily news source connecting people to information about sustainable transportation and livable communities. Since 2006, Streetsblog has covered the movement to transform our cities by reducing dependence on private automobiles and improving conditions for pedestrians, cyclists, and transit riders. With the launch of Streetsblog Chicago in 2013, we’re publishing a wide-ranging, daily news source where Chicagoans can plug in to efforts to make their streets more livable. There’s a long way to go to re-orient Chicago’s streets toward effective transit and safe walking and biking, and getting from here to there won’t be simple or quick. Streetsblog helps map the route. The Urban Transportation Center (UTC)The Urban Transportation Center (UTC) is a research unit at the University of Illinois at Chicago (UIC) that is dedicated to conducting research and education and providing technical assistance on urban transportation planning, policy, operations, finance and management. The UTC is part of the College of Urban Planning and Public Affairs (CUPPA), a nationally-recognized innovator in education, research, and engagement in support of the nation’s cities and metropolitan areas. Established as a campus unit in 1979, the UTC’s goal is to catalyze interdisciplinary exploration and understanding of the human, economic and informational aspects of transportation systems and the complex social context in which they operate. Located in the heart of Chicago, UIC is one of the top 200 research funded universities in the world.